Saviors, to have a place to socialize, network, and also teach and learn from each other. Welcome to the Heroes Network! 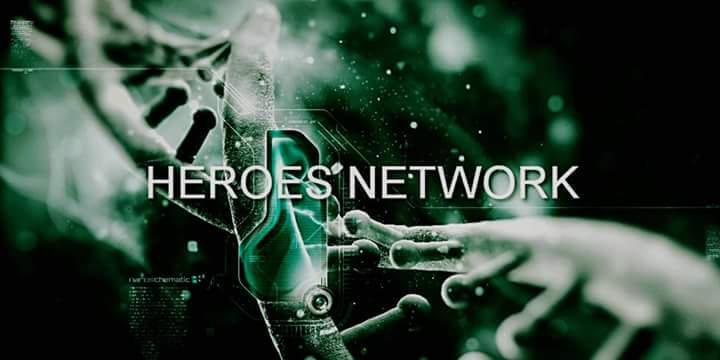 Read about the Heroes Network here! Listen to the Heroes Network on Blog Talk Radio! » How to make the snake sword! » demonic kid online bothering you? » The official name change. » Howdy from North Eastern Colorado! Christopher Nolan’s Dark Knight trilogy has been both a critical and commercial success. The entire series is on its way to earning $2 billion, and critics have acclaimed the series of films as the best in the superhero genre. This trilogy has succeeded because of its sheer quality. Nolan’s Batman movies are more than just action-packed extravaganzas – they’re meditations. Meditations on what it means to be a superhero. Meditations on the nature of civil society and its institutions. As a consequence, there’s a lot that we can learn from these three movies that can help us build and lead our own organizations. Here are five such lessons. In Batman Begins, one key aspect of Bruce Wayne’s desire to become Batman is so that he can be a symbol of something. A beacon of hope so that people can aspire to do better. This is a thread that continues through all three films, particularly The Dark Knight Rises, where Batman is honored as the savior of the city, not Bruce Wayne or any one person. Pointedly, Wayne says at the end of the film, “A hero can be anyone.” Indeed, one of the major themes of The Dark Knight Rises is the consequences of the mistake made in The Dark Knight. By holding up Harvey Dent, in particular, as a role model, Batman and Gordon were forced to cover up his crimes committed as Two-Face. That cover-up led to some of the bad things that happened in the third film. What lesson can we take away from this? Well, the people who build great organizations and companies are often larger-than-life. They drive their businesses forward with their energy and passion. But one problem that such organizations face is that when they become completely identified with a single person, their fortunes can rise and fall based on what that one person does. By contrast, Pixar was also a company largely driven by Steve Jobs, who served as its Chairman of the Board and later its CEO. But while Apple was driven by Jobs’ vision for consumer products, Pixar was driven by an ethos of storytelling. That ethos is strongly held by the animators and writers of Pixar movies, who are committed to the high level of quality that have given the company enormous critical and commercial success. After Jobs’ departure from Pixar, the company remained strong, pushing out some of its best movies such as Up and Wall-E. By building on an ideal of strong storytelling, rather than one man’s vision, Pixar has built an enduring brand. We often go through life with the best of intentions. One day, we say to ourselves, we’re going to start going to the gym and become a great athlete. One day, we’re going to finish that book. But for whatever reason, we get distracted by the present and lose our focus on the future. We never do go the gym. We never do write that book. In organizations as a leader, we often have the best of intentions for our team. The right hand man that you rely on? You do plan on giving him more responsibility and training. That awesome clerk you hired a year ago? She’s efficient and way overqualified for her work. You plan on expanding her responsibilities and getting her a promotion. That engineer with a great new idea – you’re definitely going to talk to your boss about getting some R&D money to develop it. Then things happen. You’ve got to get that quarterly spreadsheet in. You have a dozen conference calls to attend. You have to do a presentation for your customers. All of it gets in the way, and the next thing you know, your right hand man isn’t working nearly as hard as he used to. That awesome clerk? She moved on to a better paying position in another company. Your engineer? His VC sister-in-law got him some capital and he started his own company. And now you’ve been stuck in the same job for ten years when you had sworn you’d be running the place by now. But nobody remembers what you meant to do. They only remember what you do. As we run our own teams and organizations, it can be tempting to keep the truth to yourself. Especially if things aren’t going well, there’s a fear that telling the truth might incite people to leave or give less than what they’re capable of. Leaders often trick themselves into thinking that people can’t be trusted with the truth, and that if they learn it, bad things will happen. This is a fundamental mistake. If things aren’t going well with your organization, the best thing to do is to put everything out in the open. Trust your team to be adults, capable of handling the truth. What you’ll find, I think, is that the result won’t be panic. The result will be that your team is willing to repay the trust you put in them by redoubling their efforts and creativity into solving the problems at hand. Lesson learned, Bruce Wayne makes a third attempt to escape. Only this time, he had no safety harness to catch him if he fell. And with that, he was able to make the leap and climb to freedom. Human beings are naturally risk-averse. Indeed, a number of psychological studies have show that people are more likely to prevent the chance of loss than the are to chase a reward – even if the end result is identical. So when we start a company, build an organization, or lead a new initiative in our careers, it can be tempting to build safety net after safety net for yourself. The problem is, sometimes when you take so many preparations to avoid losing what you have, you make your organization too slow, restrictive and hidebound to accomplish anything. Sometimes, in order to win, you have a take a risk – even if that means jumping without a safety harness. One running theme of Nolan’s Batman trilogy is the idea of failing. It first appears at the beginning of Batman Begins, when a young Bruce Wayne falls into a well full of bats. Upon rescuing him, his father simply notes that the reason we fall is “so we can learn to pick ourselves up.” Something that’s echoed by Alfred to an older Bruce Wayne when he’s nearly killed by the League of Shadows. And of course, it’s the entire story of The Dark Knight Rises after Batman’s defeat at the hands of Bane. Rather than destroy himself, Bruce Wayne escapes from the prison that he’s put in and reclaims the mantle of Batman and vanquishes the threat to Gotham. No matter how hard you try to succeed, it’s inevitable that you’re going to fail at some point in your life. The test of a great leader, though, is how that failure is handled. Some leaders make excuses. Others try to shift the blame. Still others just find organizations that don’t care about past mistakes – just “experience” and make the same mistakes over and over again, failing time and again without learning. In other words, Steve Jobs learned to pick himself back up. So did Bruce Wayne. And so can you. Follow me on Twitter or Facebook. Read my Forbes blog here. These are all true and and who say that you can't learn anything from movies. To find lessons from any fictional story wather it be a comic, book, TV show, or a movie one just needs to be looking for the lesson. That is true. One interesting fact people forget about fiction is that 100% of it is written by real life people. Also, about this blog, I find it deeply interesting, because it takes 2 aspects that appeal to me, both the heroism and the leadership linked in to one thing. It uses some philosophy, and even makes references to unrelated examples of how those ideals work in even regular life. Even when it could seem irrelevant, but rather just finding ways it can relate, as well as taking a superhero's ideals and applying it to even regular civilian use.